Six pack rings or so called 6 pack can holder rings are set of plastic rings that can hold beverage cans. These rings are mainly used to make six packs of beverage cans compared to 2 packs or 4 packs. These six pack rings have been very popular among liquor stores and convenience stores owners to make six packs of cans to from loose cans to stack up more profit. In a way it is win-win situation for buyers and sellers as sometimes people do not want to buy in qualities compared to six packs of beers or soda. Buy Six Pack Rings Now! These popular six pack rings are originally designed and introduced during summer of 1960 by ITW Hi-Cone. It was one of the best accessories that replaced metal based can holders in liquor stores and convenience stores. Considering the popularity, there are many six pack manufacturers in market who supply six pack rings in different kinds of packings. Plastic six pack rings are popular and convenient accessories but at the same time it was not environment friendly. There were many concerns related to environment especially danger to marine life. Since 1989, federal regulation law enforced manufacturers to product six pack rings with photo-degradable material to protect environment and marine life. Overall now six-pack rings are relatively minor threat to marine life with federal regulation on making recyclable six pack rings. Six pack rings come in different kinds of packaging such as 1000 CT, 1200 CT, 2000 CT and 4300 ct. At VK Wholesale, we carry 4300 Count six pack rings to supply liquor stores, convenience stores, dollar stores and gas stations. Our six pack rings comes with slots that can be utilized to make two-packs, four-packs and six-packs for convenient. 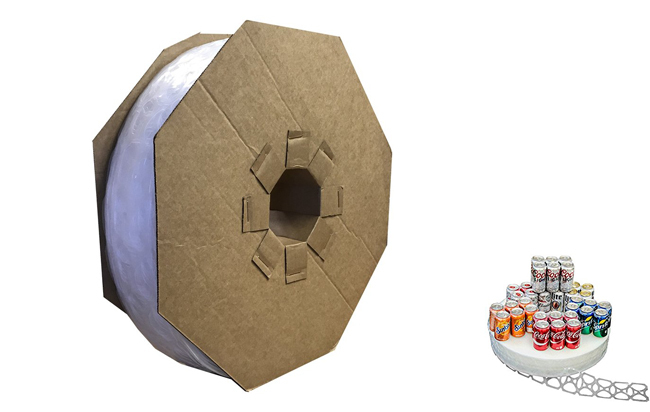 1 Pallet of six pack beer rings – 1 pallet can hold up to 50 cases of six pack rings. That will cost you $6000 delivered. This entry was posted in Wholesale Products and tagged C-Store Supplies, Chicago wholesale Six-Pack Beer Rings, Convenience Store Supplies, Dollar Store Items, Dollar Store Supplies, Gas Station Items, Gas Station Supplies, Liquor Store Items, Liquor Store Supplies, Wholesale 6 Pack Rings, Wholesale Plastic six-pack Beer Rings, Wholesale Six-Pack Beer Rings. Bookmark the permalink.